Posted on 03/06/2017 by Mickey McCarter	in Live Review and tagged DC9, England, garage, punk, Slaves. 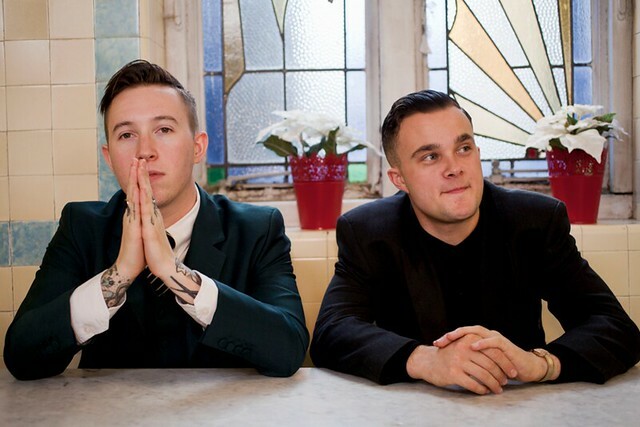 UK garage punk rockers Slaves released their second album Take Control last fall via Virgin EMI, and they are hitting the United States for a tour that includes DC9 on Wednesday, March 8. Isaac Holman and Laurie Vincent have been rocking out since 2012 and their debut EP Sugar Coated Bitter Truth. IN 2015, Slaves released their debut full-length album Are You Satisfied? Liberation Dance Party put the catchy song and accompany video for “Cheer Up London” into regular rotation at DC9. So it’s fitting that the gents should play DC9 with their new material, which comes from an album produced by Mike D of The Beastie Boys. “Slaves, alternatively, offer a much-needed release of pent-up anger and frustration for an increasingly disenfranchised youth,” said Liam Martin in a positive critical review for AllMusic. Everyone agrees the resulting music is raw. It’s no accident if the music of Slaves harkens back to the birth of punk, particularly English punk, in the 1970s. The duo cited bands they love as influences in making their music — Gang of Four, The Cramps, The Damned, Public Image Ltd, and The Slits, among others. Perhaps it’s a good time to protest being dull as if it were 1977?